Triple Panel Foldout All Clear Menu Covers have six viewing sides made of heavy duty crystal clear vinyl. Heat sealed on three sides, menu sleeves load from openings along center fold. Offered in many sizes and configurations. Most sizes are in stock and available for quick shipping. Sold in dozens only. Two dozen minimum. Easy to clean: Wipe with a damp cloth. For stuck-on food particles add one drop of mild dishwashing liquid per 6 oz. clean tap water. Make sure to wipe off all remaining soap film when you are done. All Clear Menu Cover Three Panel Six View Foldout 5.5" x 8.5" - 12 pc. All Clear Menu Cover Three Panel Six View Foldout 6" x 9.5" - 12 pc. All Clear Menu Cover Three Panel Six View Foldout 7" x 11" - 12 pc. All Clear Menu Cover Three Panel Six View Foldout 8.5" x 11" - 12 pc. 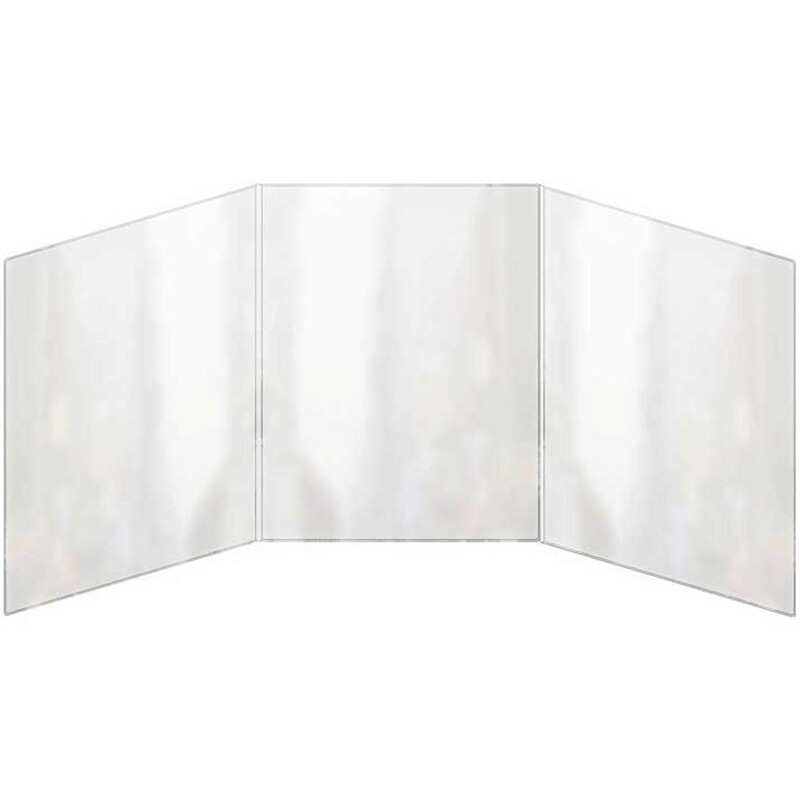 All Clear Menu Cover Three Panel Six View Foldout 8.5" x 14" - 12 pc.